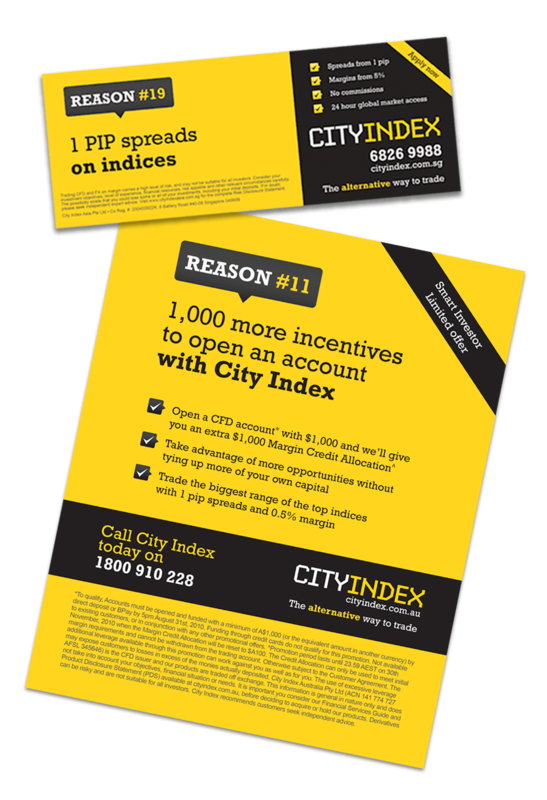 ​CityIndex offers their clients access to their trading platform through browser based, downloadable or via our mobile/tablet applications. ​This client has strong branding guidelines which needed to be implemented for this flyer. The final result was strong and very clean. On approval the artwork was sent to the printer.